Sri Lanka can meet its current and future electricity demand by judicial use of renewable energy by 2050, according to a joint study by the UN Development Programme (UNDP) and Asian Development Bank (ADB). The report, titled Assessment of Sri Lanka’s Power Sector—100 percent Electricity Generation through Renewable Energy by 2050, notes that by 2050, the country’s installed electricity generation capacity needs will increase from the current 3,700 megawatts (MW) to about 34,000 MW. Of this, 15,000 MW will be wind energy and about 16,000 MW will be solar energy. Balance capacity is expected to be met by hydro and biomass based power plants. Further to addition of renewable electricity generating sources, the study has identified need to introduce electricity storage solution which should provide instantaneous power of 3,600 MW and energy storage capacity of 15,000 MWh. This will ensure stability of the electricity grid. The assessment indicates that the substitution of imported fossil fuel with renewable energy till the year 2050 provides direct monetary benefits and will reduce Sri Lanka’s fuel import bill by about $18 billion cumulatively. The report also identifies the need for structural changes in the retail tariffs of Sri Lanka to warrant financial sustainability of its operations. 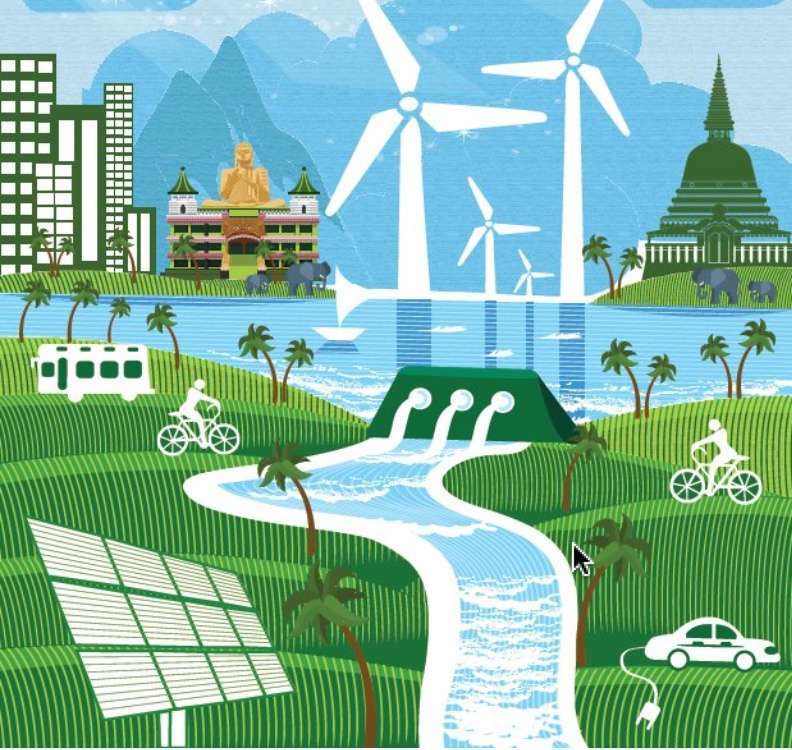 The report estimates that in order to transition to 100% electricity generation by renewable energy, Sri Lanka will need investment of $50 billion. Further, it emphasizes the need to develop the ancillary services market in light of these changes in the generation system. One year on from the Paris Agreement of December 2015, 43 members of the Climate Vulnerable Forum, including Sri Lanka, adopted at the UN Climate Change Conference in Marrakesh highly ambitious voluntary goals to produce 100% of their electricity through renewables by 2050. ADB, based in Manila, is dedicated to reducing poverty in Asia and the Pacific through inclusive economic growth, environmentally sustainable growth, and regional integration. Established in 1966, ADB is celebrating 50 years of development partnership in the region. It is owned by 67 members from the region. In 2016, ADB assistance totaled $31.7 billion, including $14 billion in cofinancing. UNDP works in nearly 170 countries and territories, helping countries eradicate poverty, reduce inequalities and exclusion, and achieve sustainable development. UNDP works to integrate issues of climate, disaster risk and energy at the country level, and focuses on building resilience and ensuring that development remains risk-informed and sustainable. We are working in partnership with governments, private sector and civil society to address the challenges of climate change and remain the largest service provider in the UN system on climate change adaptation and mitigation. Our work on climate finance aims to help countries achieve the simultaneous eradication of poverty and significant reduction of inequalities and exclusion, by catalyzing environmental finance for sustainable development.